This PhD projects aims at predictive modelling of laser-produced tin plasma sources of extreme ultraviolet (EUV) radiation for nanolithography. You will complement current experimental activities with analytical and numerical theoretical models. The common goal of the experiments and theory activities in the group is to understand these laser-produced, high-density plasma sources at the fundamental level. For this purpose, it is envisaged that you will employ and combine existing state-of-the-art atomic data and radiation-hydrodynamics codes in close collaboration with an experienced postdoctoral researcher. In a team effort, we will answer the following questions: Which physical processes determine the efficiency of the conversion of drive laser energy into EUV power and what is its fundamental limit? How can we control the expansion dynamics of this plasma and prevent the plasma from inflicting damage to its surroundings? Answering these questions by focusing on the physics fundamentals will pave the way for more powerful plasma sources of EUV light and enable the continuation of Moore’s law, producing ever more powerful chips. You will be embedded in the EUV Plasma Processes team at ARCNL, which frequently interacts with our industrial partner ASML. 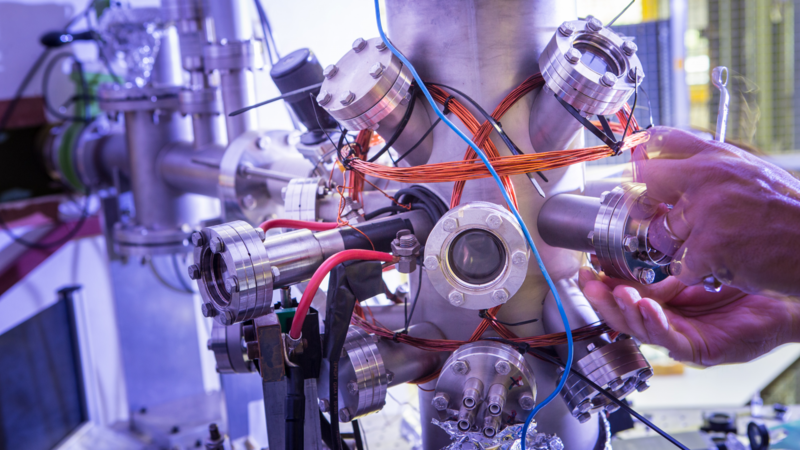 The research activities of the EUV Plasma Processes group aim at the understanding of the basic dynamics on an atomic and molecular level of the operation of contemporary and future plasma-based sources of extreme-ultraviolet (EUV) light for nanolithography. You have an MSc in (applied) physics. Knowledge in the fields of atomic and plasma physics, or laser physics is advantageous. Good verbal and written communication skills (in English) are required. The position is intended as full-time (40 hours / week, 12 months / year) appointment in the service of the Netherlands Foundation of Scientific Research Institutes (NWO-I) for the duration of four years. After successful completion of the PhD research a PhD degree will be granted at the Vrije Universiteit Amsterdam (VU). Several courses are offered, specially developed for PhD-students. ARCNL assists any new foreign PhD-student with visa applications and compensates their transport costs and furnishing expenses. – Motivation on why you want to join the group (max. 1 page). Applications without this motivation will not be taken into consideration. However, with this motivation your application will receive our full attention. Commercial response to this ad is not appreciated.